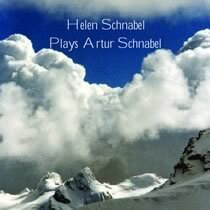 The first in a distinguished series of recordings from the Schnabel Music Foundation, this disc features compositions by Artur Schnabel from several periods of his life played by Artur Schnabel's student and daughterin-law Helen Schnabel. Concerto for Piano and Orchestra (1901) with C.F. Adler and Vienna Orchestra, Seven Piano Pieces (1948), Reverie (1898), 10 Songs (1899-1903) with Erika Francoulon, soprano.